Note early start owing to the length of the performance. This compelling run up to the acclaimed 1982 classic follows LAPD Officer K (Gosling), a new futureworld cop (“blade runner”), who discovers a long-buried secret that threatens to undermine society. 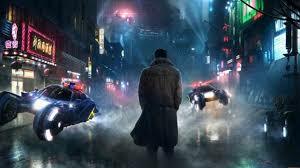 K sets out on a quest to find Rick Deckard (Ford), a former blade runner who has been missing for 30 years. This sensational sequel, by the director of Arrival, boasts awe-inspiring design, cinematography and score alongside the first-rate performances from Gosling and Ford: it “simply couldn’t be any more of a triumph” (The Guardian).